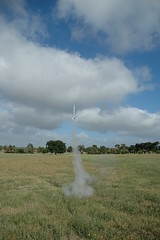 First Scratch-Built Sugar Rocket. 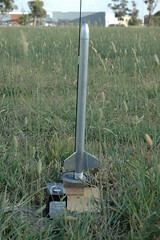 This rocket is running on a formula adapted from Jimmy Yawn's site. 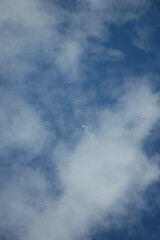 This flight was the 2nd for the day, taking the rocket to around 800' - 1000'. The ejection charge was too large and snapped the shock-cord. The nosecone and parachute were lost, the airframe was recovered.